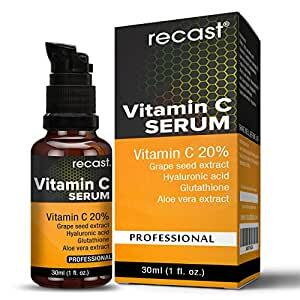 Amazon's Choice for "recast vitamin c serum"
Sold by FINN COSMECEUTICALS (4.7 out of 5 | 392 ratings) and Fulfilled by Amazon. Gift-wrap available. 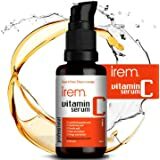 Sold by FINN COSMECEUTICALS and ships from Amazon Fulfillment. 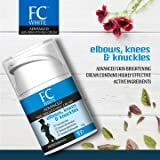 FC White Advanced Brightening Cream - For Elbows, Knees and Knuckles. Lightens, Softens, Smooths & Retexturizes, 50g. 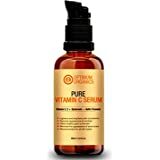 Vitamin C Serum With Hyaluronic Acid 30% For Face, Body, Skin Whitening and Acne Prone Skin. Specially Formulated for Acne Prone and Oily Skin. Burned my skin.Made it dark.Texture of the skin became rough.I want my 600 bucks back. 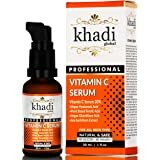 If you are just starting on to facial serum, and want to experiment with Vit-c serum, I would suggest you buy this. Very reasonable pricing, and effective. It cleared my hormonal acne scars a bit, made my skin glow (I swear on it) My skin texture, moisture returned finally. 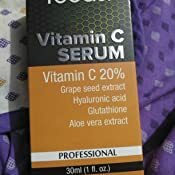 I was searching for a good vitamin C serum and I found this in amazon with good reviews so I decided to give it a try. 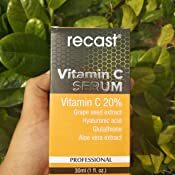 A few days back I've added this beautiful product in my skin care routine and I'm completely in love with RECAST VITAMIN C SERUM. I've combination skin and it suits me perfectly. 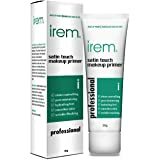 This product is extremely light weight and gets absorb into my skin so easily. It doesn't feel sticky or heavy like some other serum. After applying this on my face I can see a healthy glow on my face. I use this before applying my moisturizer and it works just fine on my combination & sensitive skin. I haven't seen any breakouts after using this. It is pretty effective and does its job. The product is wonderful. This is my third bottle and I can clearly understand why there is discrepancy in the reviews. It worked for some, it didn't for others. My first bottle worked wonders for me. 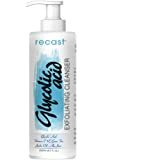 My second bottle didn't seem to have any effect on my scars or did anything to make my skin supple. My third bottle again started to give me good results. All the times I bought this product, the seller was different. Guys if you go for the seller Cloudtail India, I doubt you are receiving as many benefits as this product claims. I found that the product quality deteriorated. 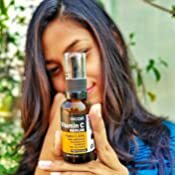 I bought from Cloudtail India Pvt Ltd because they offer a good discount. My first and third bottle was from Finn Cosmeceuticals, the product did what it claimed. For all the new and the existing (satisfied or unsatisfied) buyers, I would urge you to buy it from Finn Cosmeceuticals. If the product still doesn't work, feel free to ditch it for another serum. P.S: This is not a paid/fake review. I am not sponsoring/ defaming any seller. I have a combination skin which is largely acne prone. I had an extensive breakout in June on my cheeks which looked really bad. 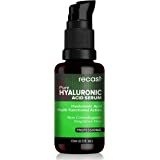 I purchased this serum twice in mid July and August and have been using the serum for about one and a half month now. I am utterly impressed by the product! I used it mostly during night time only, and initially during the day as well. 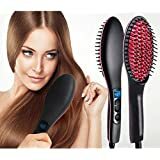 I am very much happy to recommend this product to everyone. (Some reviewers reported allergies, so patch test is recommended). 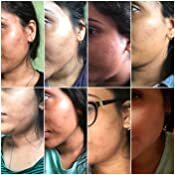 I am sharing the before after images, starts from top left, ends on bottom right. Since the images are in different lighting conditions. I want to explicitly mention that I look fairer than before. Hope the review helps you! Stay beautiful! 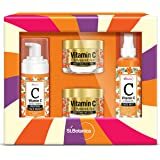 Edit: please don’t overdose the vitamin C. Once a day works best.